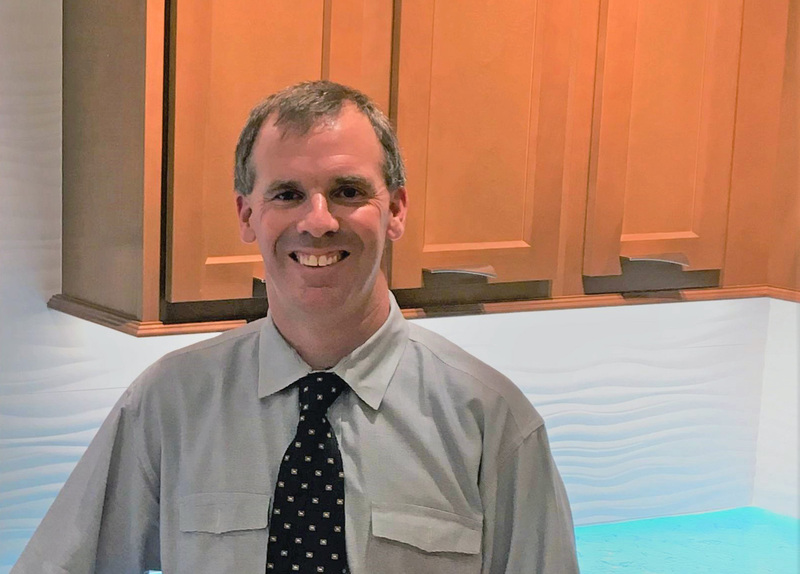 Phil Bowers, president of Advanced Cabinet Systems, which developed the Division 12 plastic laminate cabinet specification with Arcom. MARION, Ind.— Advanced Cabinet Systems is launching a design specification for plastic laminate casework for K-12 schools and hospitals in the United States. The specification, which will become an industry standard for this product segment, will be included in Arcom's design catalog system, allowing architects to place sketches of the Advance Cabinet Systems' cabinetry into plan drawings, and use the specifications to automate purchasing. Arcom catalogs architectural specifications and publishes them in MasterSpec, a product of the American Institute of Architects used by over 60,000 design professionals involved in building projects. Advanced Cabinet Systems' is developing product data and customized specifications for the category of laminated MDF cabinetry, known as Division 12, which will be available through Arcom software platforms to architects, engineers and design professionals on October 20. The specification will be adopted by major cabinetry suppliers in the Division 12 segment, and can used by other casework manufacturers who supply projects in the category. A Weeke CNC was part of ongoing capital equipment additions. "We are excited about our new partnership with Arcom and feel that the updated specifications provide more clarification, and will improve the level of quality and service end users receive from plastic laminate casework manufacturers across the country,” said ACS President, Phil Bowers. Arcom and Advanced Cabinet Systems say they believe this relationship will benefit all design professionals as they select and specify products in this segment. Advanced Cabinet Systems has been working with Arcom for months in the development of customized versions of the Division 12 MasterSpec sections to allow architects to accurately specify its cabinetry products. Along with the specification sections, Advanced Cabinet Systems’ product catalog and data sheets are accessible to specifiers when working on their projects, including graphic renderings of the cabinetry. Barcoded work in progress after edgebanding. When sized and specified by designers, cabinetry specifications can later be exported directly to Advanced Cabinetry Systems' internal manufacturing workflow, with workpieces and components barcoded during as they are fabricated and accumulated at staging areas, then assembled and shipped. Arcom owns and publishes SpecText for use by engineers for infrastructure projects, and provides extensive product and manufacturer information through cloud-based specification resources, custom manufacturer specifications, and the SpecBuilder Expert platform. Its software specification tools simplify specification creation, research, and project management. 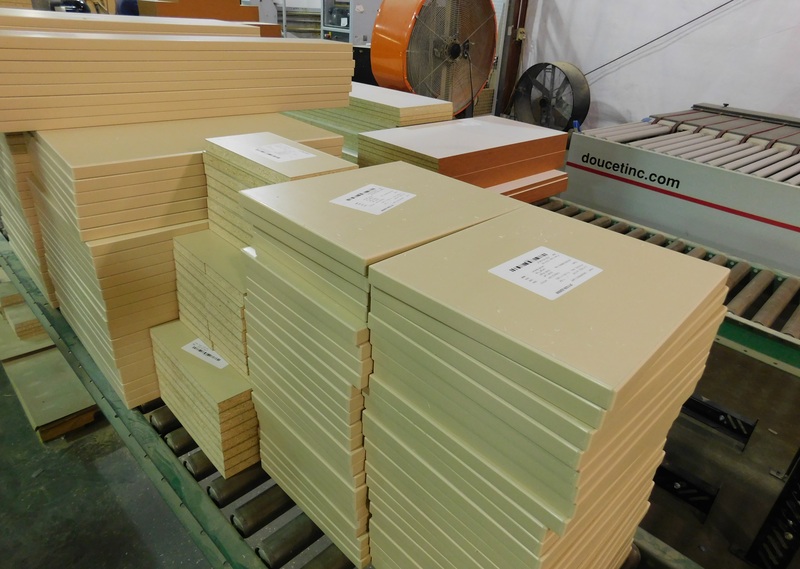 Advanced Cabinet Systems, located in Marion, Indiana, has been manufacturing plastic laminate casework since 1983, selling its casework through a dealer network throughout the United States. It rolled out the Division 12 specification to its dealers October 4 in Indianapolis, describing the MasterSpec system that architects can access in the ACS catalog through their website in several file formats, including AutoDesk Revit. Owned and operated by building and construction firm JGBowers, Inc., is a family business with multiple subsidiaries head by Phil Bowers and his sister Whitney Bowers Pyle, Vice President. The company also manufactures retail store fixtures, including turnkey store interiors for companies like Verizon, fabricating and shipping dozens of retail interiors around the country, also supplying floor plan layout, feature and focus displays, and cashwraps. Last year, Advanced Cabinet Systems announced a $1.5 million expand of its manufacturing operation, doubling its plant space as it relocated to a 100,000 square-foot facility located Marion. The expansion of the company’s manufacturing footprint was accompanied by installation of a new Weeke BHX vertical machining center, one of the keys to automating its operations to meet growing demand from K-12 schools, hospitals and retail stores across the country for its products. The move allowed Advanced Cabinet to consolidate offices with parent JGBowers, Inc., and ultimately will create up to 30 new jobs, brought on board through www.peoplelinkstaffing.com. Phil Bowers, president of Advanced Cabinet Systems, was named a Wood Industry 40 Under 40 winner at IWF 2016. 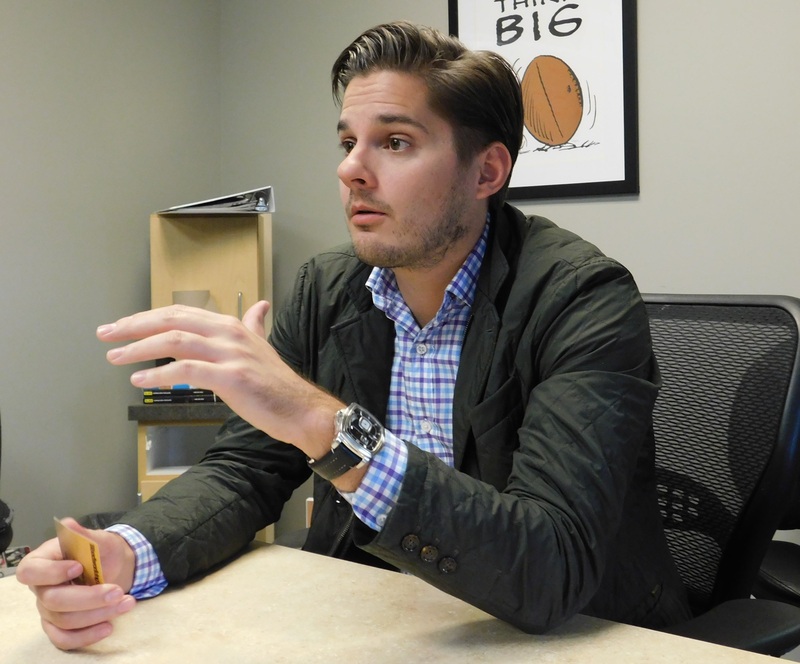 “Indiana has been an ideal place for us to grow our business over the year," Bowers said. "We have been able to find and retain some very talented, hardworking Hoosiers and keep a voluntary turnover rate of less than 1 percent.” Marion, Indiana Mayor Wayne Seybold lauded Advanced Cabinet as, "a company born here as construction company transformed into a cutting-edge modern casework manufacturer backed by a team of experienced designers and engineers." Advanced Cabinet Systems developed its Division 12 cabinet specification as part of a strategic plan to grow its business in the segment, and to be able to handle fabrication and fulfillment with great speed and precision. It was built in coordination with adoption of LEAN manufacturing processes, and an automated, integrated Enterprise Resource Planning System, much of that developed internally by a team including plant engineering manager Tim Hanson, programmer Aaron Hanson, and Kyle Rennaker, marketing manager. Incorporating parametric modeling of hundreds of cabinet specifications, the Division 12 specification for Arcom MasterSpec represents Advanced Cabinet Systems own automation of its estimating and production workflow systems. Advanced Cabinet changed business model in 2012 to focus on selling casework products through a network of dealers. The growth at ACS stems from the 2011 machinery investments to their factory and the additional sales and financial staff brought on to grow the business. Jay Higgins is director of casework sales. Advanced Cabinet Systems is an active member of the Architectural Woodwork Institute, and has received AWI Premium Certification through the AWI Quality Certification Program. The plant is also FSC certified.